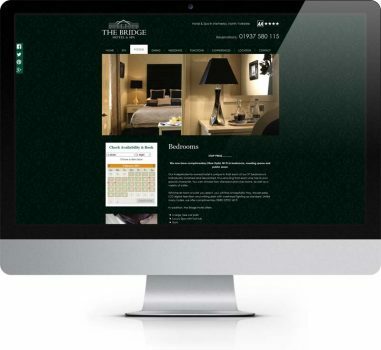 The Bridge Hotel & Spa is located in Wetherby, West Yorkshire in between Leeds and Harrogate. 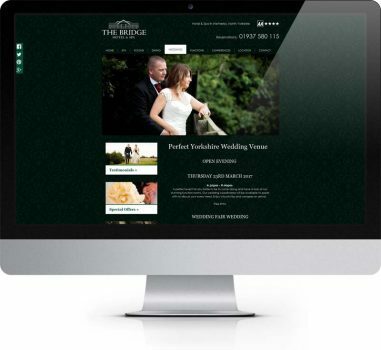 The hotel offers 37 rooms, as well as a spa, conferences rooms and operate as a wedding venue. 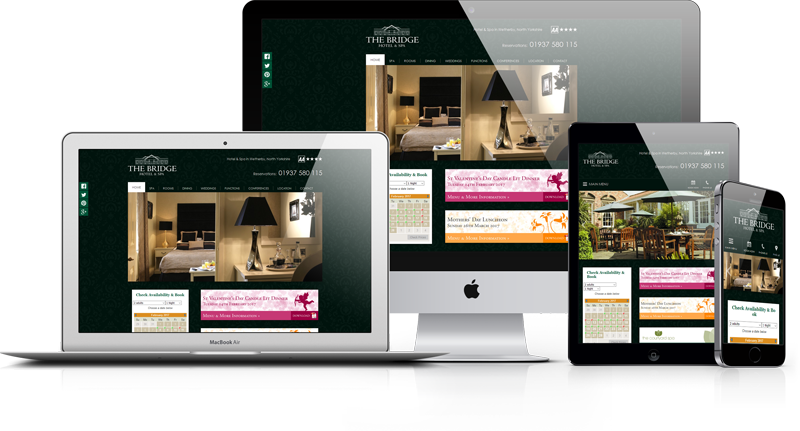 We have a long working relationship with The Bridge Hotel in Wetherby first building a website for them in 2001. 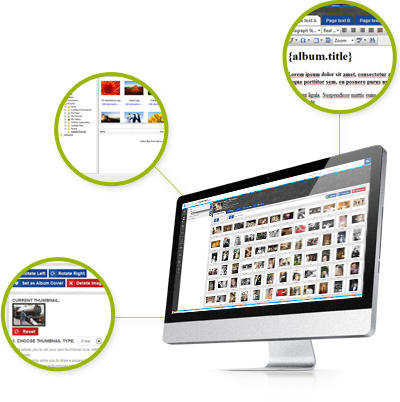 Since then the site has seen two full redesigns and rebuilds in 2005 and 2012 and a design refresh in 2014/2015. 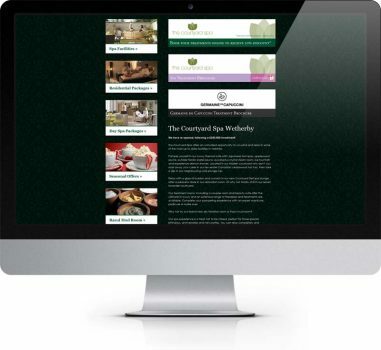 The 2012 site design, was light and airy using cream as the predominant colour with the bridges green as the call to action colour. 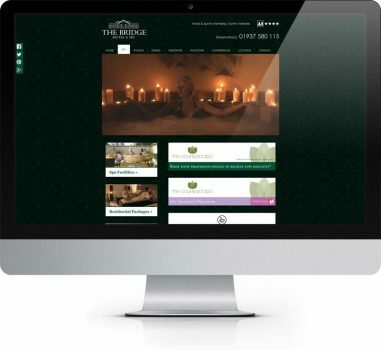 The site makes use of the sidebars by adding call to action buttons to bring attention to the different areas of the site and any offers or events the hotel has on at the time. Expandable enquiry forms are also added to the sidebars collected useful user data or enquiries before giving an option to download a PDF brochure. 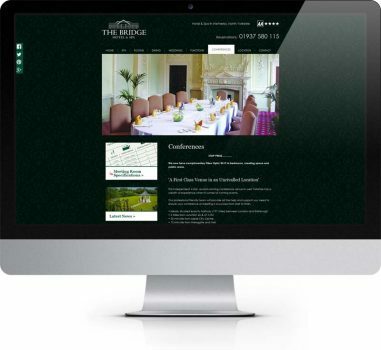 In 2015 The Bridge came to us wanting to freshen the sites look so that it conveyed the luxury of the hotel more. We reverted the colour scheme using the green as the main colour with white accents rather than cream for freshness. The dark green also takes on the original background pattern. This refresh also saw the addition on social media buttons and a latest tweet widget. 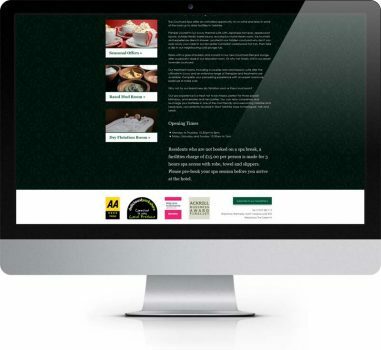 As the original site was built before we started building responsive websites as standard, we also converted the existing site to be mobile friendly, so that it works well on a range of different size devices. 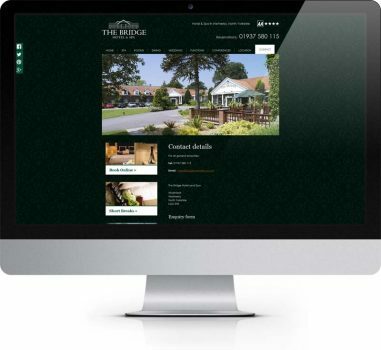 The Bridge website is built in our own in-house built content management system, which allows the easy editing of text and images as well as the creation and deletion of pages. Do you need something similar? 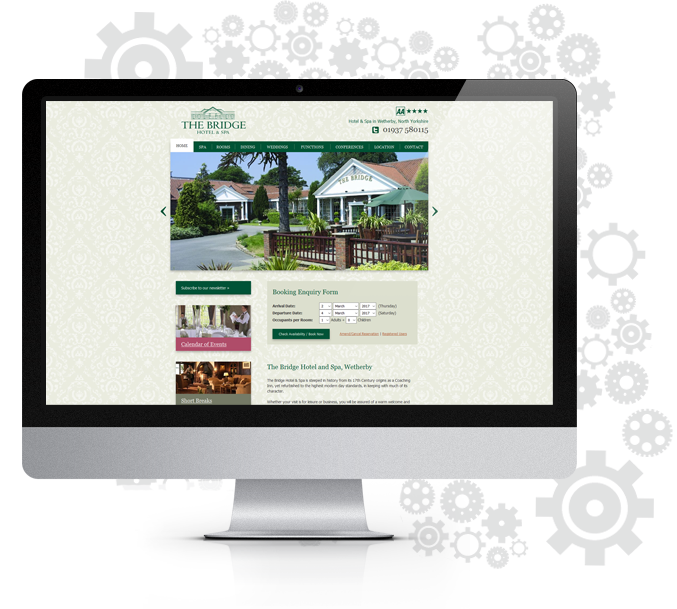 Do you need a website to show off your hotel and entice visitors, why not give us a call to discuss your requirements on 01904 720 999.